As is often the case, I ended up with an overgrown cucumber in my CSA share this week. And a bunch of sweet wax peppers, which I usually have a hard time finishing before the next box comes. So I decided I’d better make some quick pickles. 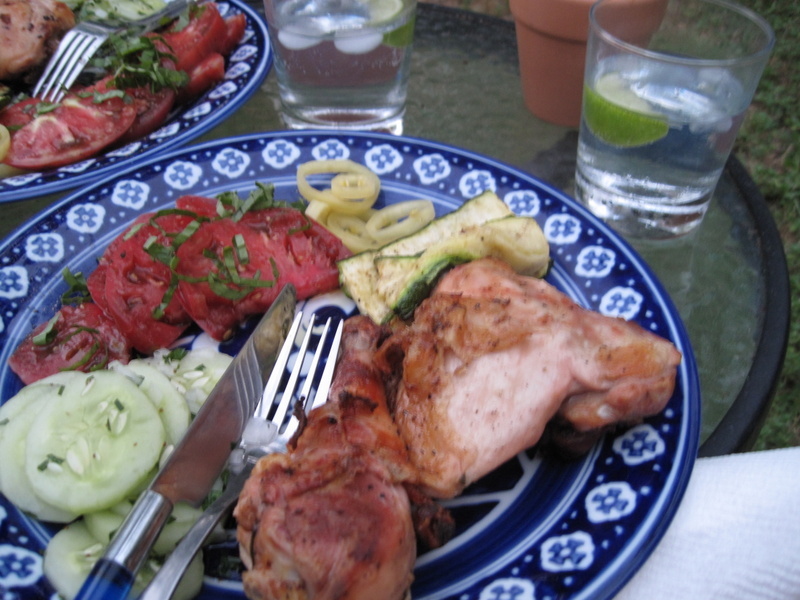 I used this Scandinavian Marinated Cucumber Salad recipe for the cucumbers. Try it. I used this Pickled Peppers recipe for the peppers but I replaced the coriander with pickling spice. Note that recipe doesn’t include the water in the list of ingredients, which is dumb. Pickles on a plate. And some other stuff. Oh, yum. Also, what a great way to spend only a little time to prepare vegetables that stay good and instantly ready the rest of the week. Yep! And you don’t even have to cook anything for the cucumbers. Just shake it all up in a jar. Fun. 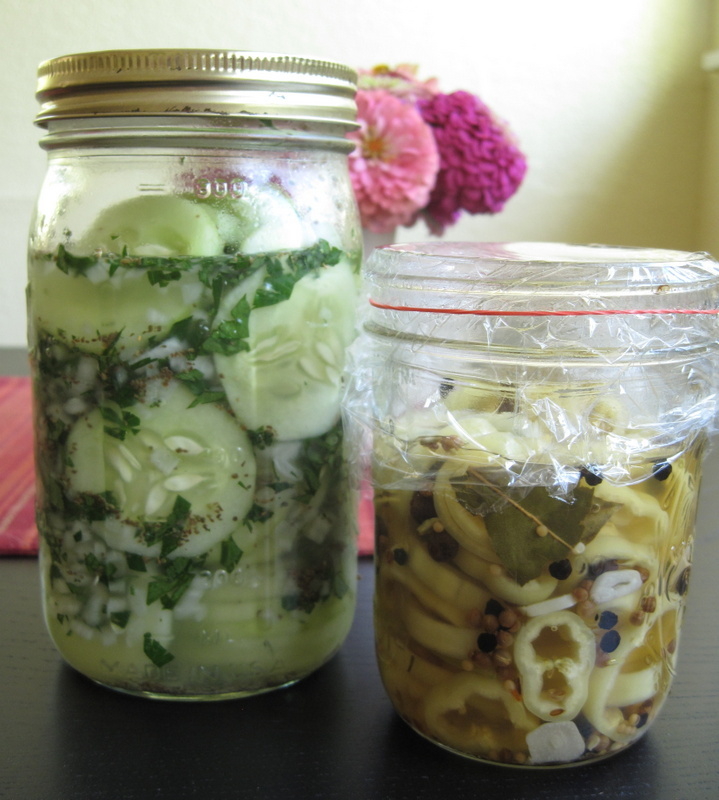 I’m going to make some chive blossom vinegar today and then, in a month or so, experiment with quick pickles (quickles). That sounds delicious. Report back, please!